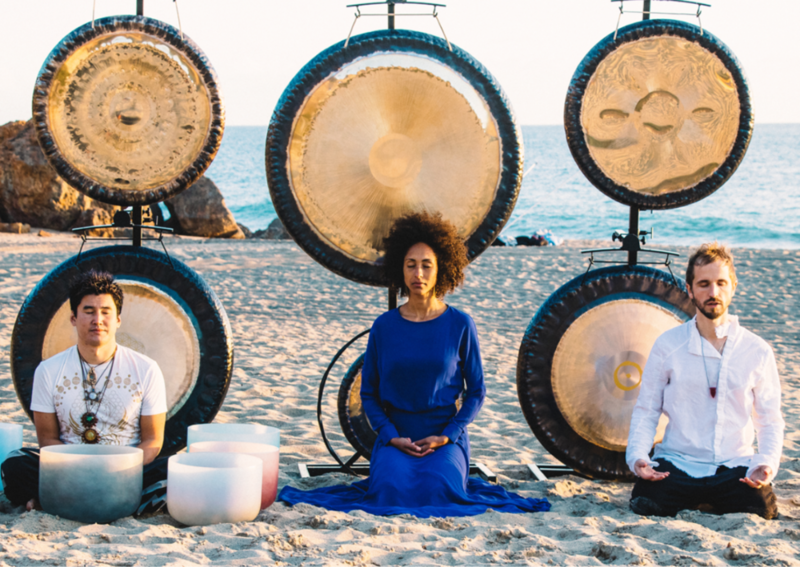 (WEHO) MON 12/31, 10PM - New Year's Eve Intention Setting Sound Healing Journey with Philipp Schardt"Sound of Awakening"
A unique Musical Performance and Sacred Sound Healing Journey awaits you, as these 3 International Sound Healing Artists unite on their heart level and higher soul essence. Bringing you a transformative sound experience, unlike any in this world. SOUND OF AWAKENING is the music of Multi-Platinum Awarded LA based Producer and Sound Alchemist Philipp Schardt, LA´s most renowned Crystal Bowl and Gong Sound Healer SHANE THUNDER & Celestial & Angelic Healing Voice KADIJA'MAA from Berlin. They have performed at the biggest Sound Healing & Meditation Events around the World and shared stages with spiritual leaders like Deepak Chopra or World Musicians as Jai Uttal, Tina Malia, Sacred Earth and many more. Their music is based on the Principle and Pythagorean Tuning of A=432hz and Solfeggio Frequencies: the fundamental and natural Frequencies of Earth and the Universe. Their intuitively orchestrated and transformative Sound Journeys unite ´Hollywood like Score Music´, Solfeggio and Angelic Frequencies, lush nature land-and soundscapes, instruments from acoustic guitar, bass, futuristic synthesizers to flutes and many others. This vibration activates and aligns the cells of the human body and it brings you into a more aligned state of wellbeing which allows you to release stress, anxiety and opens potential for more inner wisdom, clarity and higher guidance.